A perfectly pretty casual look! Love the printed jeans. 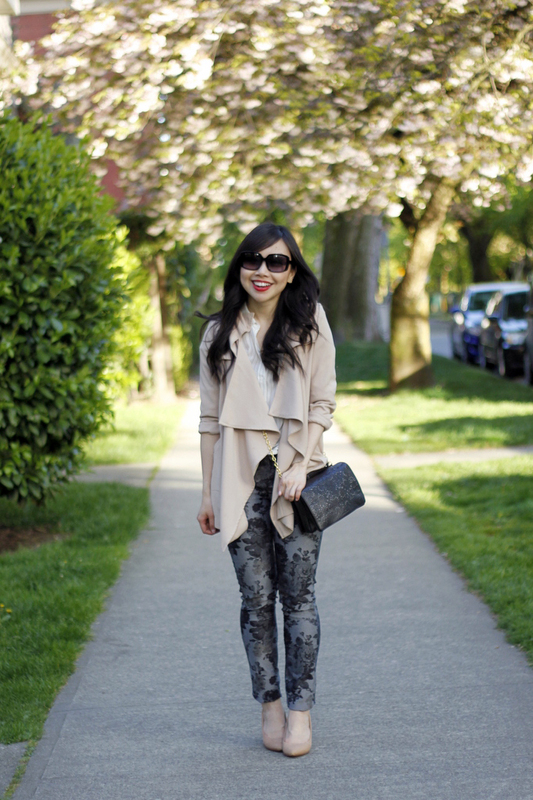 I love everything about this outfit, from the draping jacket to the printed pants. Just lovely, Jen! Love this outfit! I’m all about casual comfy put together looks and you do them soo well! I absolutely love your printed pants! Looove the draping and simplicity of your jacket! Looks perfect for late spring/early summer! love this outfit! especially the cardigan/jacket!